Regulatory burdens on the banking industry have grown dramatically in recent years, stretching the resources of banks across the country and hindering their ability to help local businesses grow and create jobs. In case you missed it, on August 1 the Wall Street Journal published an article highlighting a credit union’s plan for growth with “no speed limit.” The CEO of the credit union, Pentagon Federal Credit Union (PenFed), has a very public plan called “Drive to 75,” with a goal of “pressing regulatory boundaries” by more than quadrupling the credit union’s assets from approximately $18 billion to $75 billion by 2025. According to the article, the credit union advertises “Great Rates for Everyone” despite the common-bond requirement. A proposal in Congress to ease the U.S. ban on marijuana could encourage more banks to do business with cannabis companies, but it appears to fall short of a cure-all for an industry that must operate mainly as a cash business in a credit card world. Read the American Banker article here. The billions that will be generated from California’s soon-to-be-legal recreational marijuana industry cannot be banked legally. And that presents a real conundrum for companies that sell pot. Local members of the California Bankers Association are supporting several philanthropic endeavors in the Central Valley community, via the Central Valley Business Times. For example, in 2016 CBA member banks across California donated nearly $82 million. Governor Jerry Brown has proclaimed a state of emergency in the following counties due to the effects of the California wildfires which has damaged structures and infrastructure, threatened homes, and caused the evacuation of residents. Consequently, Commissioner of Business Oversight Jan Lynn Owen has determined that an extraordinary situation exists in the counties and has issued a proclamation authorizing state-chartered banks to close any or all of their offices in affected areas until the Commissioner determines the extraordinary condition has ended. CBA President & CEO Simone Lagomarsino discusses the need for regulatory reform to promote economic growth in an Orange County Register oped. CBA President & CEO Simone Lagomarsino authored an oped the appeared in this weekend’s East Bay Times, calling for Congress to act on a tailored approach to the current regulatory system. View the opinion editorial here. CBA President and CEO, Simone Lagomarsino, discusses Operation Choke Point, and the regulatory requirements that force bankers to spend much of their time and money intrusively policing their own customers in an Orange County Register editorial. CBA President and CEO Simone Lagomarsino and Florida Bankers Association President and CEO Alex Sanchez discuss the upcoming joint Washington, D.C. Visit with Bloomberg. CBA President and CEO Simone Lagomarsino says the credit unions’ tax exemption is no longer justified. Bankers want a surgical fix for Dodd-Frank. Learn more about the customers hurt by its overly burdensome rules. The CBA is pleased to share with you the following video we have created that highlights the negative impact the qualified mortgage and ability to repay rules contained in the Dodd-Frank Act are having on banks’ lending activities. 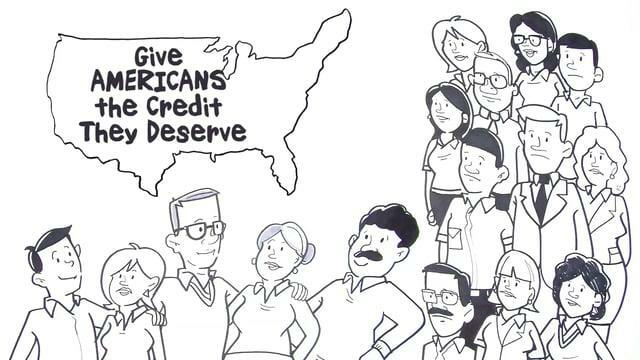 The video is intended to be a resource for all bankers to use to highlight the need to fix specific elements of Dodd-Frank, particularly QM/ATR, as you meet with local elected officials, community leaders, or in forums with your customers. Please also feel free to share and link to the video on your social media platforms. CBA President and CEO Simone Lagomarsino says Senate Bill 33, a measure that seeks to promote class action lawsuits, makes trial attorneys, not consumers, the winners. CBA President and CEO Rodney Brown says White House is right to seek regulatory balance by reviewing the impact of banking regulations. CBA President and CEO Rodney Brown discusses CBA-sponsored bill AB 2693 that seeks to make important changes to property assessed clean energy (PACE) financing, which ignores longstanding lending principles and fails to make important disclosures to borrowers. CBA President and CEO Rodney Brown discusses the regulatory burden banks continue to face as the Dodd-Frank Act still rolls out in the Long Beach Business Journal. CBA President and CEO Rodney Brown discusses the fifth anniversary of the Dodd-Frank Act in the Orange County Register and two legislative fixes currently being considered that make several common-sense changes to the law. CBA President and CEO Rodney Brown provides commentary on the fifth anniversary of the Dodd-Frank Act – a sweeping overhaul of the nation’s financial regulatory system - in the Contra Costa Times.